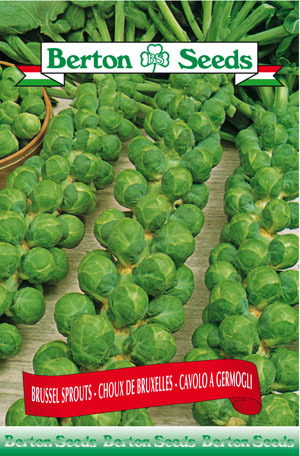 This variety produces medium sized plants yielding medium sized, very green sprouts. Brussel sprouts are considered a cool season vegetable and therefore not suitable for areas subject to long, hot, dry summers. Sowing instructions: Plant seeds 0.5 inches deep from May-July. Space plants 20 inches apart and rows 24 inches apart. Harvest from September-November. Maturity: 95 days.